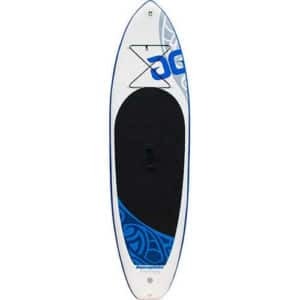 A stiff, responsive boat providing versatile all-purpose performance for one paddler. Excellent for recreational paddling, commercial or whitewater use. 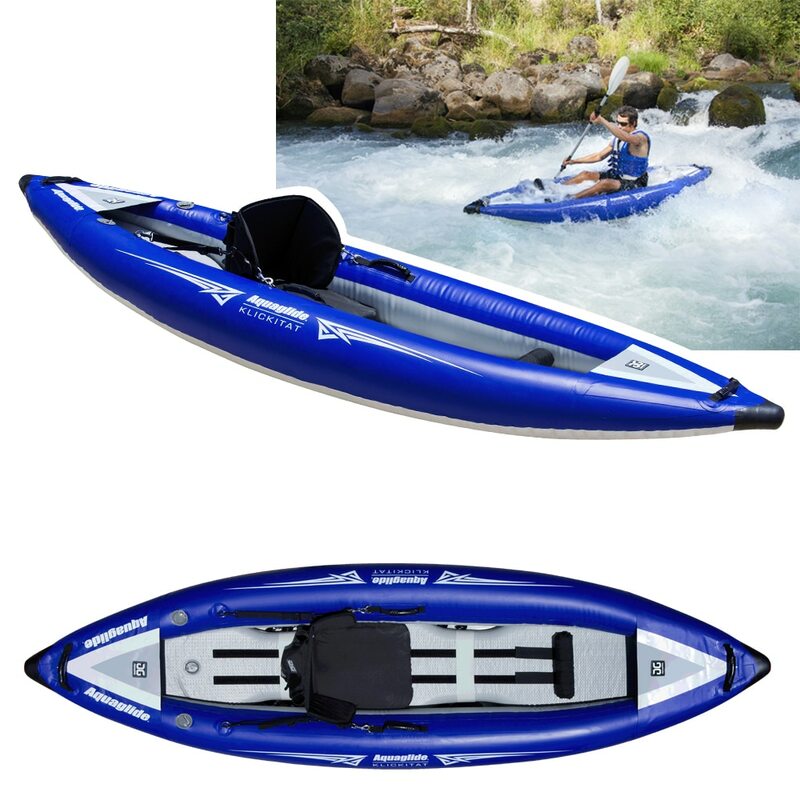 The Klickitat is the ultimate thrill seeker’s inflatable kayak. Created with a traditional river running outline this kayak series has exceptional stability with ample rocker for maneuverability and control in rough water. These boats combine our tough Duratex™ tube construction and Hard-Bottom™ floor design for an expedition-grade boat that will let you tackle whitewater with confidence. 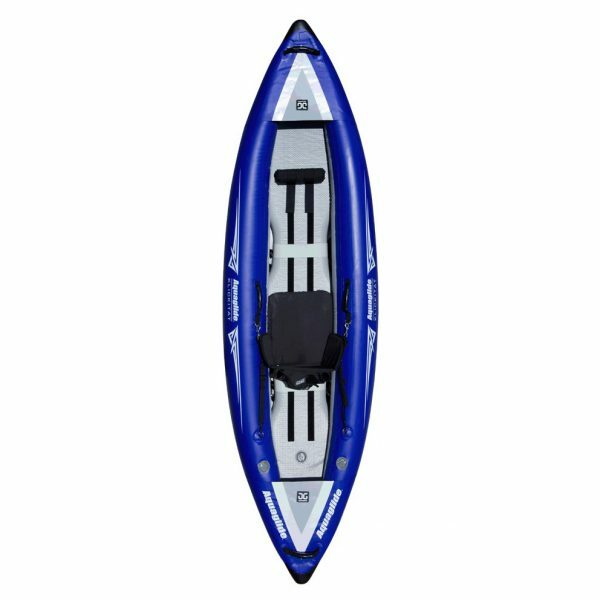 The Klickitat’s hull construction provides long-lasting performance for whatever comes your way and the high-pressure HB floor creates a solid Hard-Bottom platform that feels every bit as stiff and responsive as a hard shell kayak. 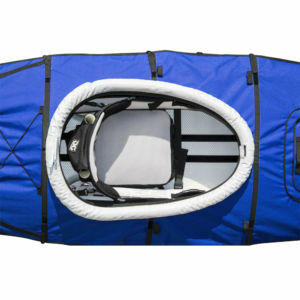 The plentiful cockpit drains give you the freedom to configure the boat for self-draining (white water), or dry use, as conditions dictate. There are also ample cockpit tie-downs so that you can pack all the gear you need and then some. Combine these features with the Rugged Core™ seats that include a high backrest, mesh storage pocket, integrated fishing-rod holders, fore and aft support straps and an infinite adjustment system and you’ll be more than ready to explore new and exciting rivers and rapids. High-performance fin system includes stiff, durable, foiledfin with unique quick-release for easy setup. Convenient backpack travel bag included.